Late winter and early spring is the worst time of the year for elk, moose and especially deer in Utah. Deep snow makes it harder for deer to move and find food in the winter. And cold temperatures sap the deers’ strength. By the time winter ends, deer are usually the weakest they’ll be all year. Winter is also the time of year when male deer, elk and moose shed their antlers. The animals will be without antlers until this spring, when they’ll start to grow a new set. Gathering antlers that drop off the heads of deer, elk and moose is an activity that’s grown in popularity across the country, including here in Utah. The challenge with shed-antler gathering is that it happens during the worst time of the year for the animals and the habitat they rely on in the winter. “By the time winter ends, the animals are stressed,” says Mike Fowlks, Law Enforcement Section chief for the Division of Wildlife Resources. Fortunately, Fowlks says you can have fun gathering shed antlers without stressing the animals and damaging their habitat. “A free course that’s available at our website will show you how,” he says. 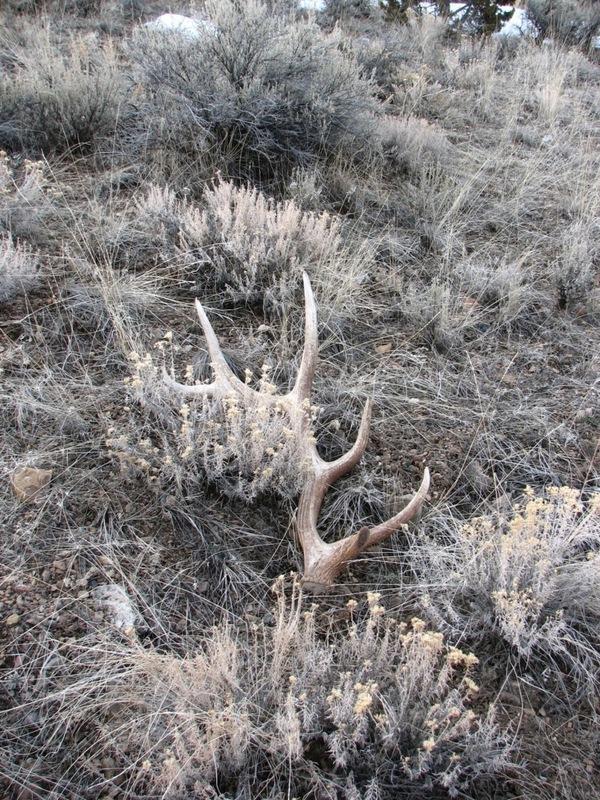 Fowlks says you must complete the DWR’s Antler Gathering Ethics course if you want to gather shed antlers in Utah between Feb. 1 and April 15. If you have young children, and you’ve completed the course, your children don’t need to complete it. As long as you’ve completed the course, your certificate will cover your kids too. Fowlks says if you complete the course, you can gather antlers across Utah. “Please remember, though, that many of the state’s wildlife management areas are closed in the spring and the winter to protect wildlife,” he says. You must complete the course if you want to gather shed antlers between Feb. 1 and April 15. If you wait until April 15 or later to gather antlers, you don’t need to complete the course. For more information, call the nearest Division of Wildlife Resources office or the DWR’s Salt Lake City office at (801) 538-4700.